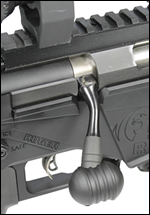 Unscrew the main beam knob and remove the Shooting Rest Attachment from the chassis main beam. 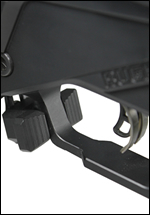 Slide the Gun Vise Attachment (pictured below) on to the chassis main beam and return the main beam knob. 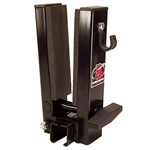 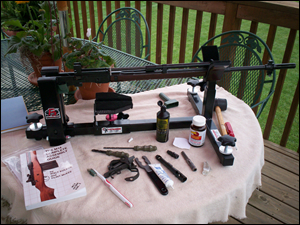 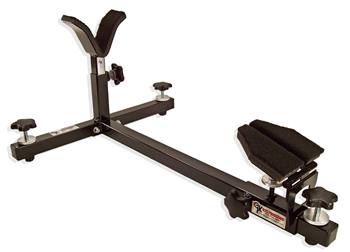 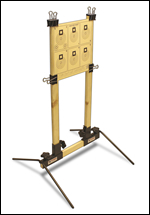 Converting the P3 Shooting Rest into a Gun Vise takes less than 30 seconds. 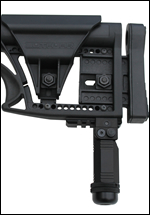 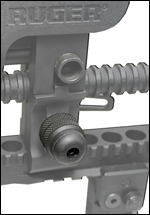 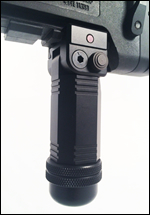 The Gun Vise Attachment and Shooting Rest Attachment can be simultaniously mounted on the main beam, if desired.